1.1. Multiple Sclerosis DIMETHYL FUMARATE is indicated for the treatment of patients with relapsing forms of multiple sclerosis. 2.1. Dosing Information The starting dose for DIMETHYL FUMARATE is 120 mg twice a day orally. After 7 days, the dose should be increased to the maintenance dose of 240 mg twice a day orally. Temporary dose reductions to 120 mg twice a day may be considered for individuals who do not tolerate the maintenance dose. Within 4 weeks, the recommended dose of 240 mg twice a day should be resumed. Discontinuation of DIMETHYL FUMARATE should be considered for patients unable to tolerate return to the maintenance dose. The incidence of flushing may be reduced by administration of DIMETHYL FUMARATE with food. Alternatively, administration of non-enteric coated aspirin (up to a dose of 325 mg) 30 minutes prior to DIMETHYL FUMARATE dosing may reduce the incidence or severity of flushing. DIMETHYL FUMARATE should be swallowed whole and intact. DIMETHYL FUMARATE should not be crushed or chewed and the capsule contents should not be sprinkled on food. DIMETHYL FUMARATE can be taken with or without food. 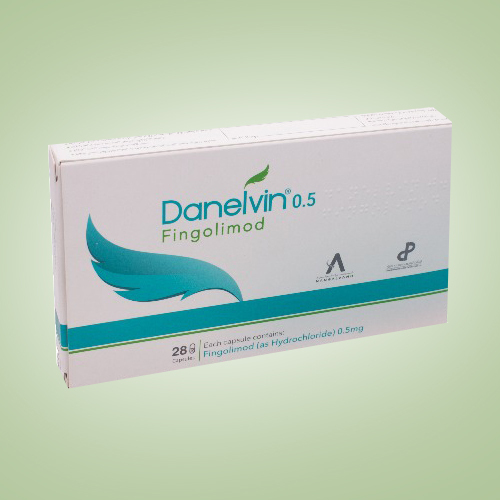 DIMETHYL FUMARATE is contraindicated in patients with known hypersensitivity to dimethyl fumarate or to any of the excipients of DIMETHYL FUMARATE. Reactions have included anaphylaxis and angioedema. There are no adequate and well-controlled studies in pregnant women. DIMETHYL FUMARATE is not recommended during pregnancy and in women of childbearing potential not using appropriate contraception. DIMETHYL FUMARATE should be used during pregnancy only if the potential benefit justifies the potential risk to the fetus. Excretion in breast milk unknown/use caution It is not known whether this drug is excreted in human milk. Because many drugs are excreted in human milk, caution should be exercised when DIMETHYL FUMARATE is administered to a nursing woman.